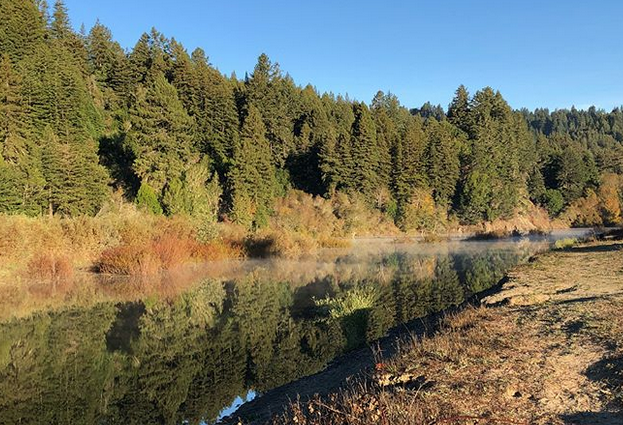 This was another memorable week for the Oak Life community as some of us headed up to the Russian River for our annual camping trip. Being together in creation is such a gift, thanks to everyone who helped make it happen (Leslie and Brenda!). Then on Sunday morning we continued our "Storyteller" conversation as we wrestled with the two versions of the Parable of the Feast found in Matthew 22 and Luke 14. 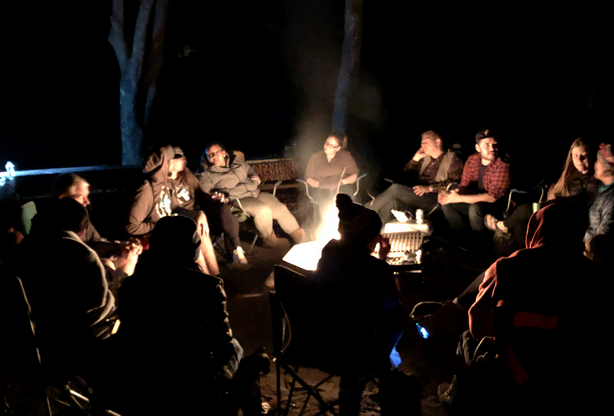 During our exploration of these two stories we were encouraged to consider the ways we might live lives that reflect the inclusive kingdom party found in Luke's gospel and in contrast resist the "unjust parties" of our world as described in Matthew's version. Like most weeks our gathering was live streamed on facebook, so you can check it out by clicking here if you missed it. It's so awesome to watch the many ways Oak Life's roots and branches continue to grow! Next up in our series will be the Parable of the Pearl of Great Price and it should be another thought-provoking and challenging convo! As always there are lots of things going on beyond Sundays in the life of our community, be sure to read below! 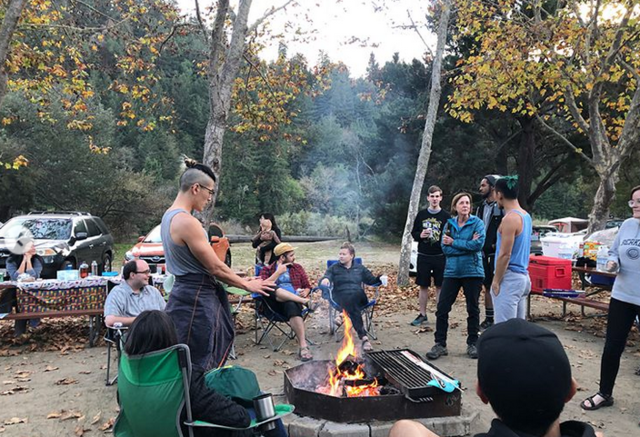 Oak Life Friends-giving! We're hosting a potluck style Friends-giving on Sunday November 18th at Chapter 510 from 6-9pm. Come hang out and bring something to share! Please let us know what you plan on bringing by filling out this perfect potluck form. Got a Prayer request? Every week, the Oak Life Prayer team spends time praying for Oak Life. If you'd like to have us pray for you during the week, please submit your prayer request here, http://bit.ly/oaklifeprayers . Feel free to include your Name and contact info if you'd also like one of us to reach out personally to you. For those who would like to know more info or to join the prayer team, contact monica.a.tzeng@gmail.com. Also, the prayer team meets every 4th Monday at 7pm. Perspectives on the Bible and LGBT+ passages workshop: Sunday, November 11 / 12:45pm - 4pm. As a church Oak Life strives to be both an inclusive space where each of our stories matter and a community that values the Bible deeply. For many these two ideas have not always worked out in practice, especially regarding issues of sexual orientation and the Bible. This workshop is led by Ed Ness and will look at what the Bible actually says about these topics. If you'd like to attend please RSVP by emailing us back so that we can know what to prepare. Light snacks and beverages will be provided. Childcare: Oak Life is stoked that we now have the resources to have childcare! As we continue to grow, we currently have childcare every 3rd Sunday of the month during the sermon portion of our gathering. Kids are welcome in service every other week. Life Groups: Fall groups are meeting at various times/locations. To learn more click here. Operation Cranberry Sauce: On November 17th, Oak Life will be joining CrossWinds Church and others in an area wide distribution of Thanksgiving meals to the community. We'll need volunteers to pass out the meals from 9-11am. If you're interested in supporting, just email us back. Also, we're looking for some one to drive a truck and pick up the meals from Livermore day of, if you can help let us know! Third Sunday Giving Update: Once a month we give away our entire offering to a local group or cause and it's been super encouraging to see the ways we've been able to join in good work in our community. This month we heard Women's Cancer Research Center we were able to raise $323 to support their work. If you'd like to watch a thank you from some of our third Sunday partners click here.